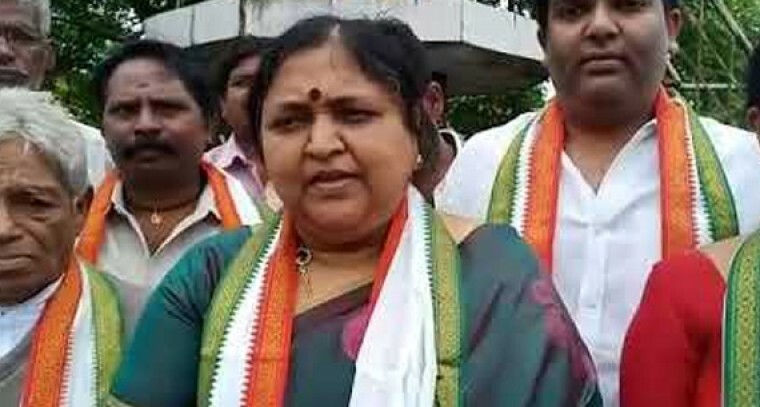 Amaravathi: The senior Congress leader and former union minister Panabaka Lakshmi has joined Telugu Desam Party on Monday in Nellore. Panabaka Lakshmi and her husband Krishnaiah joined TDP in the presence of AP Chief Minister Nara Chandrababu Naidu. CM Naidu has welcomed them into the party by facilitating them with TDP shawl. Along with Panabaka Lakshmi, former MLA Katam Reddy Vishnu Vardhan Reddy, Chanchal Babu Yadav has also joined TDP. The TDP supremo has officially declared the name of Panabaka Lakshmi as TDP MP candidate from Tirupati Parliament constituency during the election campaign meeting in Nellore district. Speaking on the occasion, Chandrababu has slammed Adala Prabhakar Reddy for joining YSR Congress party in spite of getting TDP MLA ticket.